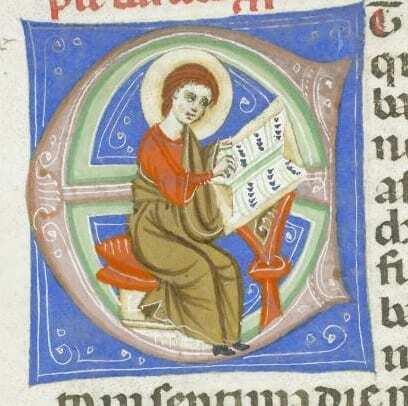 Before you attempt to climb inside a book and start singing, it’s worth saying that this is in fact most likely to be a representation of Baruch, scribe of the Old Testament prophet Jeremiah, hard at work in the many days before computers. To go back to our studious figure above, the rare book we found him in is a Latin Bible with a particularly interesting history: at some point before being given to UCL, it belonged to a refugee who came to England fleeing persecution in Spain, carrying the family Bible with him on mules, its original binding having been ripped off to make the book lighter to transport in a hurry. 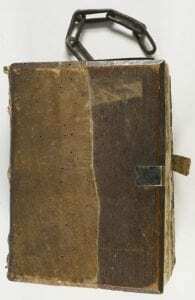 This at least is what we learn from a dramatic account of the book’s condition given in a letter dated 1859 that now appears inside the front cover. The refugee and the book arrived safely, the latter now handsomely protected in a beautiful, neo-Mediaeval binding from WH Smith probably dating from 1904. Read more about this book and its story in Treasures From UCL. If I’m honest, one of the closest things to a jingle that I could find among UCL’s rare books was the sound this chained book makes every time I bring it out. 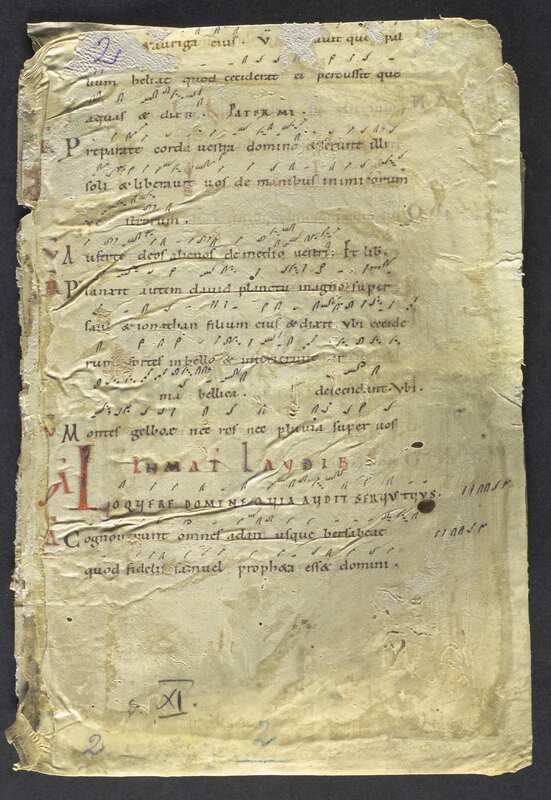 The book (MS LAT 4), containing various manuscripts from the 14th and 15th centuries, was probably part of the chained library of Würzburg, and the chain would have been used to attach it to the shelves to make sure nobody walked off with it. If all this talk of jingles and Christmas music is the last thing you want to hear at this time of year, you’re probably feeling like stamping on the nearest piano, in which case you might take comfort from the great Nicholas brothers doing just that in 1943 or, if this doesn’t help and you’d prefer to see cats rather than carols emerging from musical instruments in December, try Fred Astaire taking it one step further with his ‘piano dance’ from the 1950 film, Let’s Dance. I’ll leave you to search for a clip of that while I go off for a spot of carol-singing.